Imagine Being More Confident, Consistent & In Control When You’re faced With a Tough Shot From a Bad Lie! Are you like thousands of social golfers whose anxiety levels rise when you’re faced with a tough shot from a bad lie? Have you ever considered just how many shots these tough lies cost you per round - per week - or even per year? – Surely it would be in the tens, hundreds or even thousands! Like all golfers I’m sure you’ve been faced with a tough lie, then stressed out about it, then played a bad shot because of it and turned a good hole (or even a good round) into a bad one! IMAGINE...if you knew exactly what to do when you were faced with a tough lie! IMAGINE... knowing how to easily and effortlessly play the ball from a tough lie to your next target! Imagine how you would feel if this was possible! Imagine how good your score would be if you could eliminate this fear, doubt and uncertainty from your game! 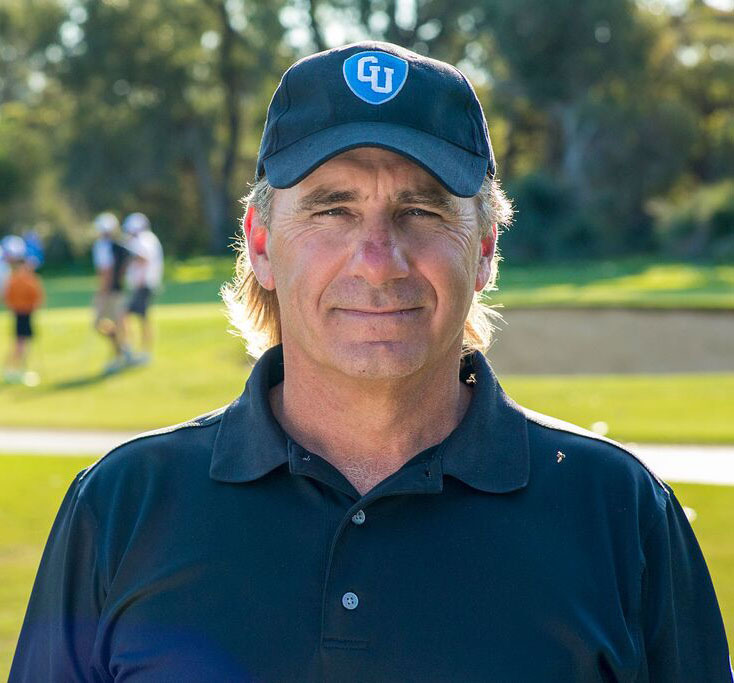 Golf University in conjunction with former Australian National Coach - Lawrie Montague have created a Tough Shots solution that is going to help you become more Confident, Consistent & In Control when you’re faced with a Tough Shot from a Bad Lie! It’s called the Tough Shots Mastery Program and it’s the Secret that will give you the KNOWLEDGE of exactly what to do and then HOW TO PLAY the right shot whenever you’re faced with a tough lie. Which will lower your scores – your anxiety levels – and ultimately allow you to enjoy your golf a lot more! Lawrie has coached tens of thousands of amateur as well as world top ten players and is currently the co-coach of the Indonesian Golf Team and is also the co-director of the Pro Tour Golf College at Joondalup Golf Resort in Perth and Indonesia. A Fundamental Check List Video that teaches you the 5 Key Things you MUST do whenever you're faced with a Tough Lie. The Importance of Your Club Face Video and how with 3 different variations you can easily and effortlessly get out of those dreaded long bunkers. The Wet Packed Sand in a Bunker Video which will teach you the best way to execute one of the most feared shots in golf. We've been told we're CRAZY to give away so much value for such a minor investment. But as you'll see, it's all worth it to help make YOU a better golfer! And at Golf University that's our mission and our passion. The Videos in the Tough Shots Mastery Program are accessible on the internet – on your Personal Computer, iPad / Tablet or Smartphone, which means you can watch them at home, the office or even at the golf course, 24 hours a day – 7 days a week. Think of Golf University's Tough Shots Mastery Program as like having your own Personal Golf Pro!